The opioid crisis has been all over the news and even declared a National Public Health Emergency. To help address the urgent issue of the current opioid epidemic, the American Dental Association (ADA) has released a new code (D9613) for the infiltration of sustained release therapeutic drug, so patients may now have access a non-opioid pain management option. This webinar is sponsored by Pacira Pharmaceuticals, Inc.
Dr. Charles Stewart is the national director, dental networks and President and CEO Aetna Dental of California. He previously served as Aetna regional dental director for 26 states. He has also served as manager of dental quality for Assurance at WellPoint Dental Services, where he was responsible for the review of all specialty claims and quality of care issues. Prior to WellPoint, he was the dental director for FHP, quality assurance consultant and training auditor at PacifiCare Dental, and auditor, Golden West Dental and Vision Plan. He is currently Chairman of CADP’s Quality Management Committee and lead instructor for CADP’s quality assurance consultant certification courses. Dr. Stewart is credited with the development and implementation of the CADP computerized shared quality assurance assessment warehouse program. He is a member of the Board of Directors for CADP, a position he has held since 2001. Max has more than 20 years’ of in-depth experience in Market Access and Reimbursement working with payers across Commercial Insurance, Medicare, Medicaid , Dental, workers’ compensation, employer groups as well as IDN’s/GPO’s and VA/DoD. 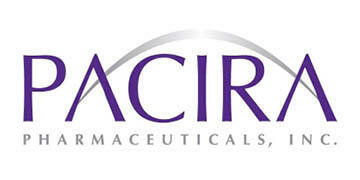 He currently leads the Market Access and Reimbursement team within Pacira Pharmaceuticals, Inc.